Kim Sou was born in Hamheung in northern Korea. 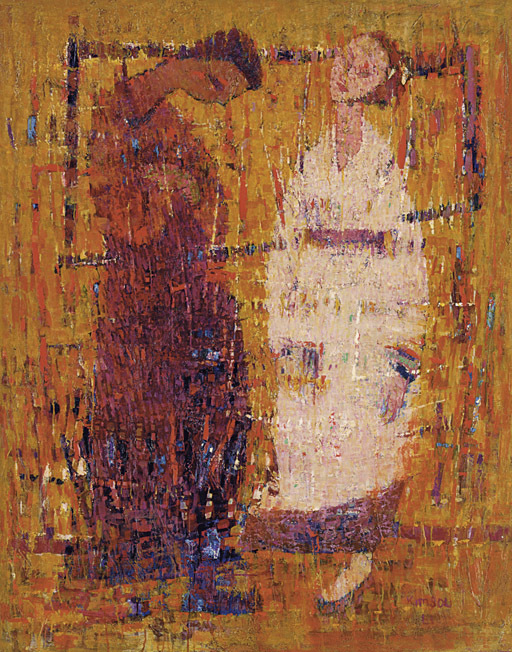 He had his first one-person exhibition at the Tonghwa Gallery, Seoul in 1949. In 1955, he went to Paris to study oil technique at Academie de la Grande Chaumière and exhibited regularly in the Salon d'Automne thereafter. In 1966, he had a one-person exhibition at Press Center Art Gallery, Seoul. His paintings were exhibited at the Woodmere Gallery in Chestnut Hill, Pennsylvania, in 1970, while he was instructor in the Department of Education, Philadelphia Art Museum. He also taught at Moore College of Art and the Pennsylvania Academy of Fine Arts in Philadelphia. In 1979, he participated in "Korean Modern Art of the 1950s" sponsored by the Korean Modern Art Gallery, Seoul.